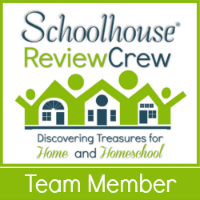 One of the greatest challenges in homeschooling is keeping learning out of the ruts. We can pick the best curriculum out there, but if it all starts feeling mundane our educational journey can become dreaded rather than exciting. Adding in a supplement to your core curriculum can make all the difference. 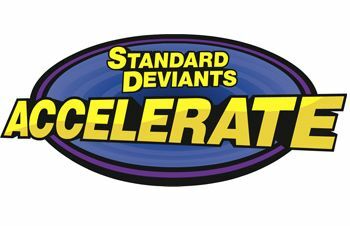 It was with great excitement that we jumped at the opportunity to be able to review the online offerings from Standard Deviants Accelerate. This review will focus primarily on our experience with their Algebra course. I do however encourage you to visit their website to see all that they have to offer for students ages 8 and up. During the review process, we received online access to the courses available through Standard Deviants Accelerate (SDA). 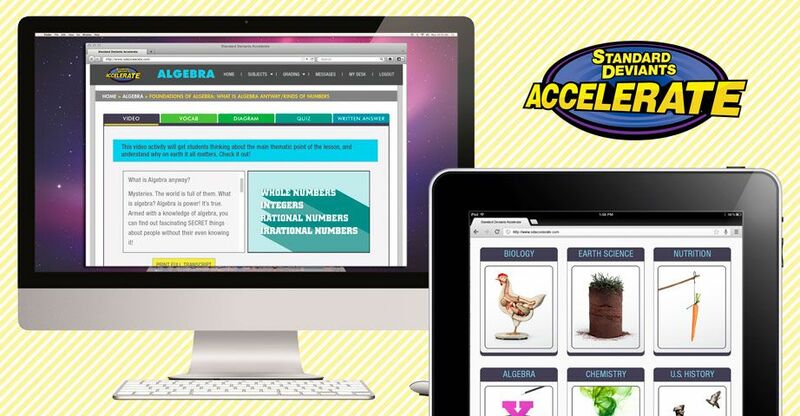 These are online supplements that can be used in various ways in conjunction with your curriculum. The courses vary in length, but the approach is similar from course to course. A subscription for any of these courses can be purchased on a monthly or annual basis. The annual cost of a subscription is generally $99.99 while monthly subscription average between $14.95 and $24.95 per course. Because this is a supplemental program rather than the core curriculum, the monthly subscription may be very beneficial for review purposes during the summer months, for fast paced intensive learning, or in reviewing before taking a high school AP exam. In helping to reinforce learning that mom isn’t sure has really hit home or that our child says he still feels less than confident on. In preseningt the same information in just enough of a different way that it creates that “lightbulb” moment on a topic that just wasn’t clicking. In keeping us out of a rut in our learning. Doing something different, but still staying the course, can certainly spice things up and breath life back into the day to day. Along these lines, we did not use the SDA program everyday. We used it on days when we needed a break from our regular curriculum to either approach things differently or just do something different. I would log into the software and find the lesson that most closely matched where we were at in our regular studies. My son would then take over. 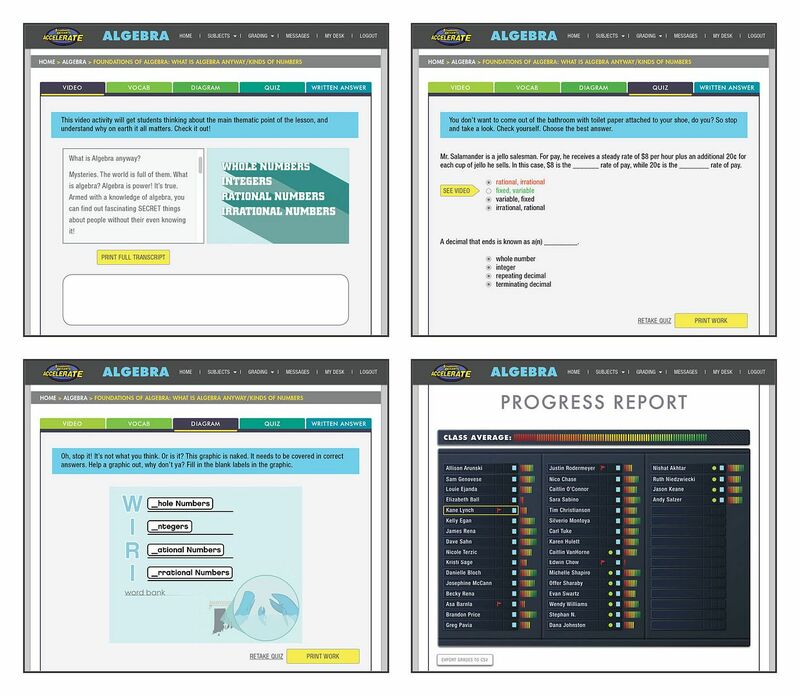 As shown in the graphic above, each lesson contains a couple different components: the video (lesson), vocabulary, diagrams, quiz, and written questions. The student always starts with the video tab for the lesson. This contains, yes, a video. The video lessons are actually taught by teens in a very comical way that keeps you laughing while learning. The approach is a bit different than a normal textbook, which is what actually helps the material to click when your child runs into a mental block on a lesson in their normal curriculum. Alongside the video box, there is a word for word script for the video. The script can be cut and pasted in the Student’s Locker where they can reference it at any time. They can also pause the video and type in their own notes to use for review. I also had my son pause the video and type questions that he wanted to review with me later. After completing the video, our son reviewed the vocabulary and visual diagrams from the lesson on their respective tabs. If he felt that he understood the material, he could then move on to the quiz and written questions. These final two tabs contained questions that were not only executing the math, but focused on the theory or concepts. For a supplemental tool, I do like the SDA courses. I felt that the comprehensiveness of the topics really provided a full course review. Our son loved the tone of the videos in the way that comedy is used to convey the material and also that there were teens helping to present the material. It kept his interest in a different way than a dry math textbook or even a lot of the other math tutorials taught by a “professor”. The Algebra course that we spent the most time on surprised me in the balance between concepts and practice problems. SDA Algebra definitely focuses more heavily on concept review than practice problems. This is not just a tool that will serve up a platter of practice problems. The written questions at the end of the topic makes your child think and put into their own words what they have learned. This takes math to a different level. After all, how much more do we learn when we have to teach something rather than just learning enough to get by to do it ourselves. The only area of the program that we really struggled with was out internet bandwidth. Our internet is provided through the basic package offered through a satellite provider given where we live. For this reason, it was sometimes frustrating trying to use the software because of the spooling issues. I would recommend contacting SDA by completing this form and requesting a 7 day free trial as offered through their website to insure that there are not technical issue related to internet bandwidth and speed. Our daughters are looking forward to using the AP courses through SDA to help review what they have learned prior to registering to take AP exams in some of their coursework as well. As always, I encourage you to consider what the other reviewers from the Crew have to share.